Snap wants to be sure youth is not wasted on the young. The disappearing-message and picture app is preparing an initial public offering at the tender age of five years. That’s earlier than most of its technologically minded peers, which tend to mature a little more before going public. Snap’s value, however, may yet have some growing to do. The Los Angeles-based startup led by 26-year-old Evan Spiegel and formerly known as Snapchat submitted confidential IPO paperwork earlier this month under a law designed for smaller firms. A market debut early next year could get Snap trading ahead of highly anticipated stock sales by older ventures including Airbnb, Palantir, Pinterest and Uber. Figures discussed only privately so far are impressive. Snap has approximately 150 million daily active users, should generate over $350 million in revenue this year and hit $1 billion in 2017. If that’s accurate, it would mean growth of nearly 200 percent. The mooted top-end valuation of $25 billion would then peg it at an eye-popping 25 times the expected top line. Both Twitter and Facebook were expanding at about the same rate when they were five going on six. Twitter would have had only about 50 million comparable users, an estimate calculated by using the proportion of monthly-to-daily users it reported at the time of its IPO two years later. And yet it garnered a valuation, privately, of 25 times revenue. Growing pains have cut the micro-blogging site to less than five times next year’s revenue. Facebook’s backers in 2009, meanwhile, were valuing the social network and its 185 million daily users at 13 times forward revenue. With some $37 billion in sales expected next year, the social networking titan still trades at around nine times, a heady multiple considering growth may be slowing to around 30 percent. Snap should have ample room to expand, despite challenges ahead building out its bespoke advertising model, an effort just under way. It is strong in video, where the action is, and teenagers stick around for long stretches. Facebook’s 430 million daily active users in the United States, Canada and Europe also suggest more growth opportunities for Snap in areas where ads are most lucrative. Twitter’s fate is a cautionary tale and financial details remain to be seen, but Snap’s IPO is developing into an investor photo op. A billboard displays the logo of Snapchat above Times Square in New York March 12, 2015. 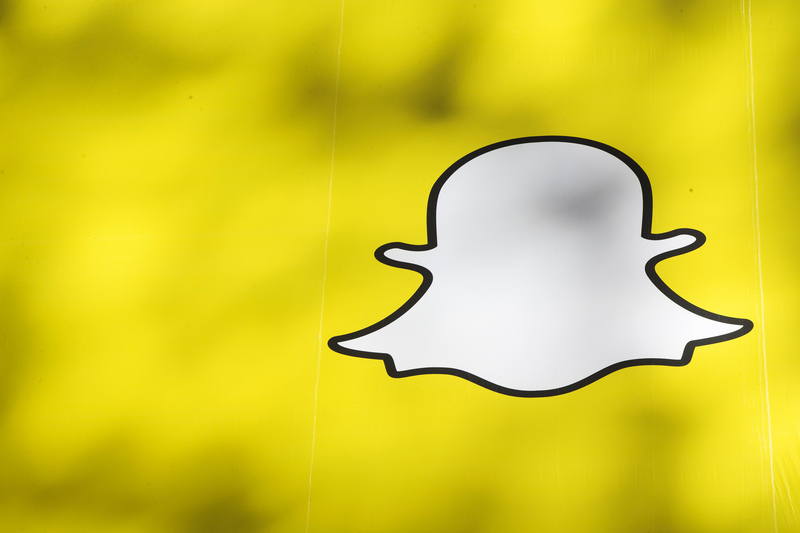 Snap has filed documents for an initial public offering that could take place as soon as March 2017. It would value the messaging app formerly known as Snapchat at up to $25 billion, people familiar with the situation said on Nov. 15. It submitted paperwork to the Securities and Exchange Commission under the U.S. Jumpstart Our Business Startups Act, which allows firms with less than $1 billion in revenue to begin the process of going public confidentially.